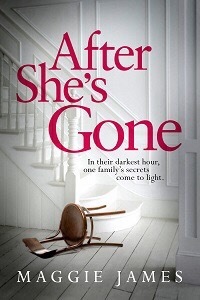 I’m so excited to welcome you to my stop on the blog tour for After She’s Gone. 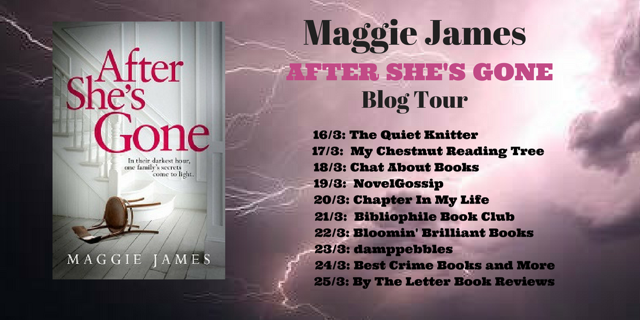 My excitement is twofold, firstly because I recently become a fan of Maggie James and have now read and really liked two of her books, and secondly because it’s the first blog tour for my friend Noelle aka Crime Book Junkie under her new venture, Thick as Thieves Book Publicity and Promo! 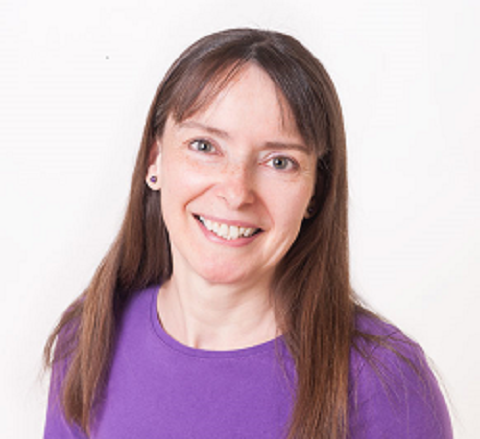 So thrilled for her, if anyone out there needs help with book publicity you won’t find anyone more enthusiastic and hardworking than Noelle. The blog tour is just getting started so make sure and check in at the other stops. Right from the beginning of this book there is a murder, Lori’s younger sister, Jessie is raped and killed and she’s understandably devastated. I really felt for Lori, she’s had a rough few years, her parents divorced, her mom Dana has failing kidneys and she’s young, only in her early twenties. Pretty heavy stuff for such a young woman. She’s mature and responsible and really looks after and cares for her mom. Dana has a new man in her life, Jake and him and his son, Spencer have moved in with them. But when Spencer is missing in action the night Jessie is killed, with no solid alibi, this fragile, makeshift family starts to crack. There was a heavy sense of malice running throughout this book, even though the worst has already happened, you just know things are about to get even more sinister. It seems everyone around Lori is hiding things and she gets blindsided again, and again as long buried family secrets are revealed. There were plenty of shady characters present making it impossible to decide who the menacing person wreaking havoc on the Golden’s lives was. James toyed with me several times as she planted red herrings and misdirections galore leaving me eager to see how things would all fit together. While I did eventually work out the who, I was fascinated by the why, the motivation behind the murder was complex and highly disturbing. This was a fairly short read and one I finished in one sitting as I was desperate to see if the Golden family, especially Lori, would get a happy ending. Thanks to Maggie James and Noelle for my review copy. I kind of like hearing that the motivation behind the murder is complex. I just read a book where the murderer had the ‘urge’ to be a (serial) killer and that’s that. Urgh. Fab review! Wow this sounds like a book in which you’re in the dark a lot! I love the sense of foreboding and the web of secrets that surrounds the characters! Great review!